Desi Smith Staff photo/Gloucester Daily Times. 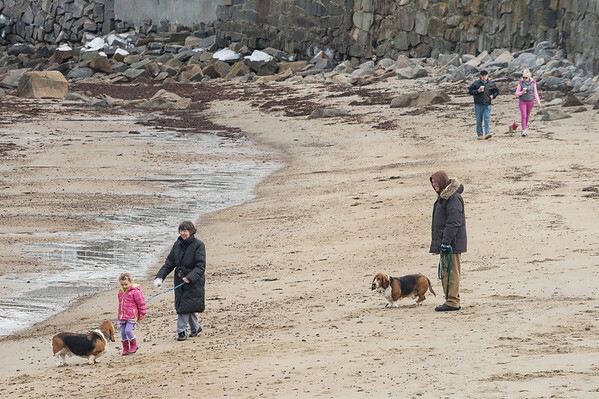 Lois Himmel and her granddaughter Isabella Scherbarth 4, of Rockport stop to to met a couple of basset hounds Saturday afternoon while walking on Front Beach in Rockport. February 1,2013.